Jenkins has elite length at his position and is a very physical player. He does a good job of turning his head around and locating the ball and looks like a solid tackler. 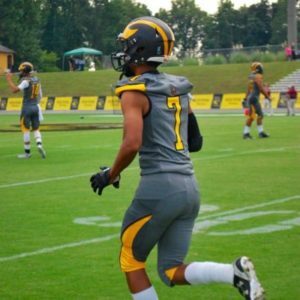 The 2019 recruit sticks to his man like glue and looks like the type of player who will play FBS football. He has gained 15 pounds of muscle from last fall and could eventually move to safety if he continues to add weight. Hip flexibility has improved dramatically over the last year, he does a great job of dropping them low and looks very explosive when changing direction. Hard to find a cornerback the size of Jenkins, and as mentioned earlier he has the versatility to slide over and play safety.